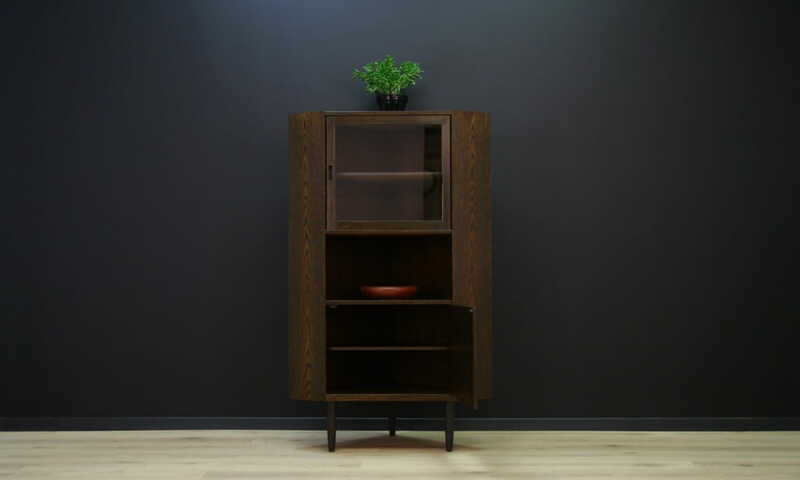 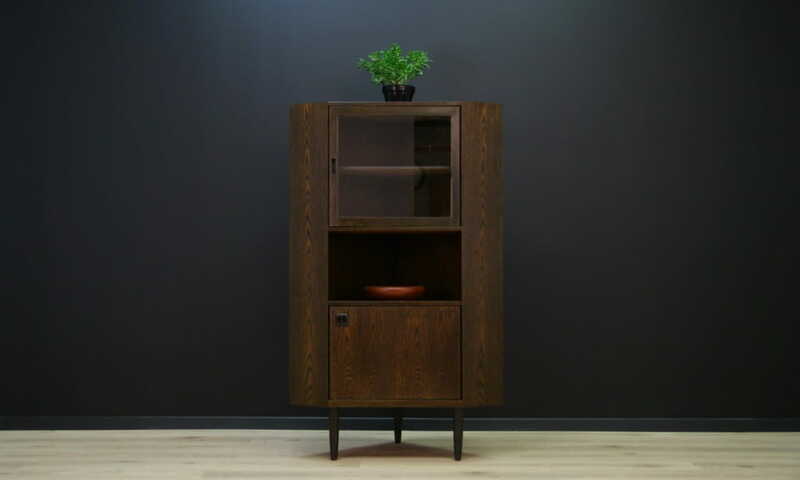 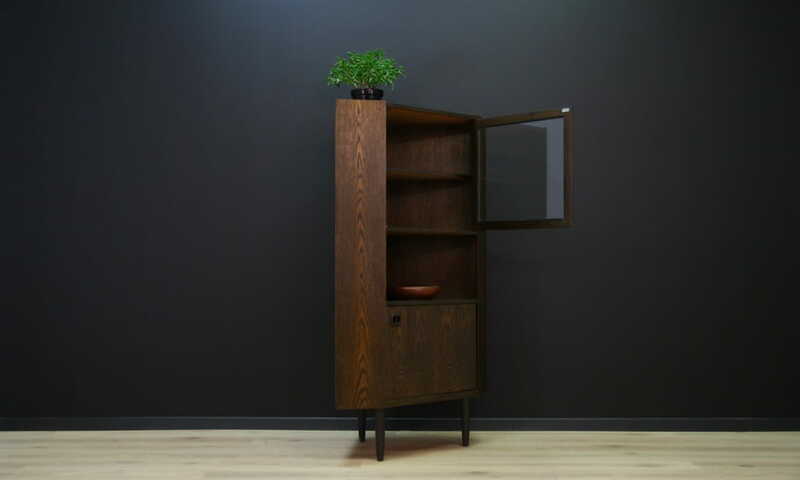 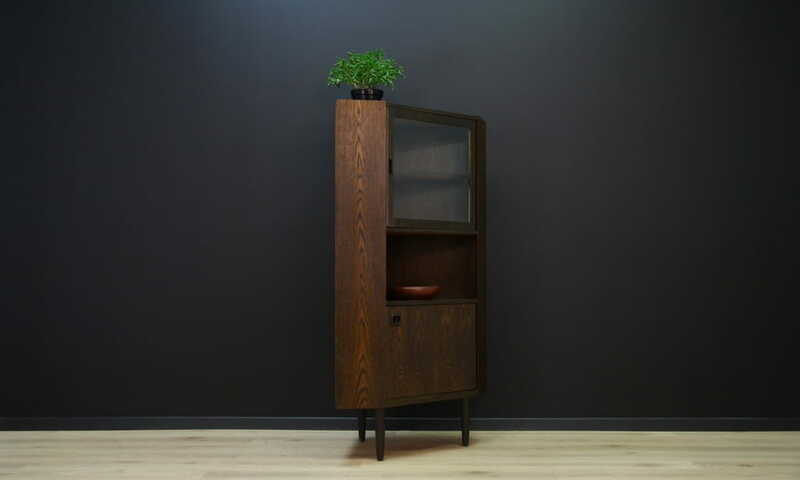 A minimalistic corner cabinet from the 1960/70s, Danish design. 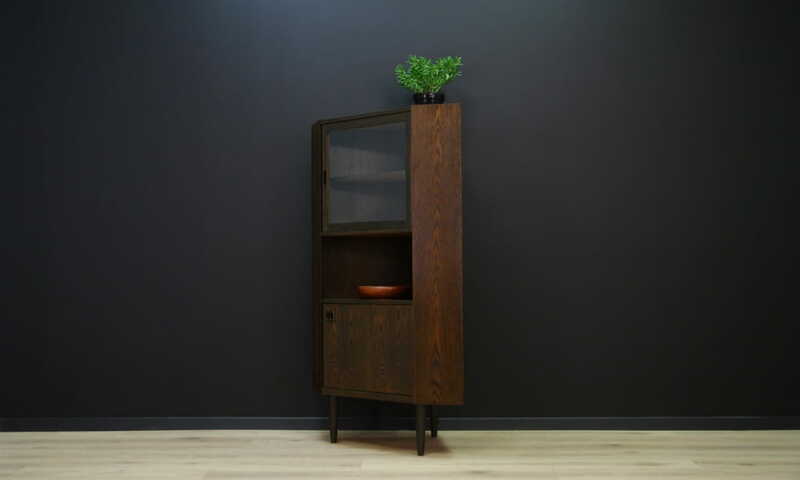 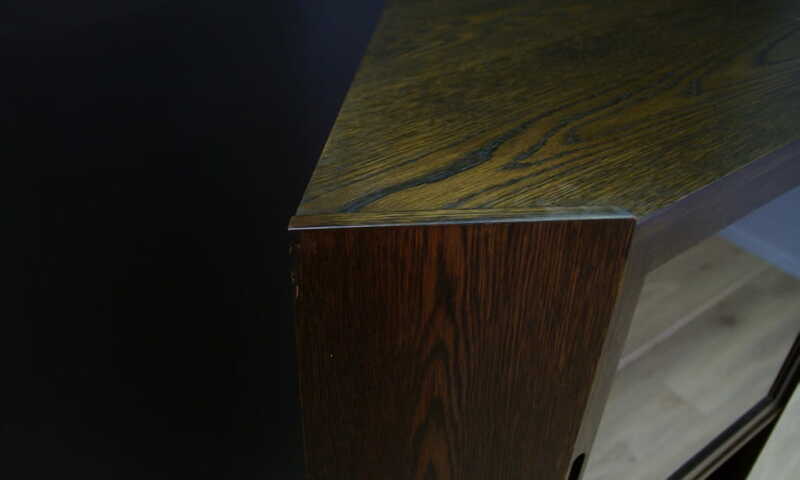 Cabinet finished with oak veneer, behind the glass, a spacious interior with shelves. 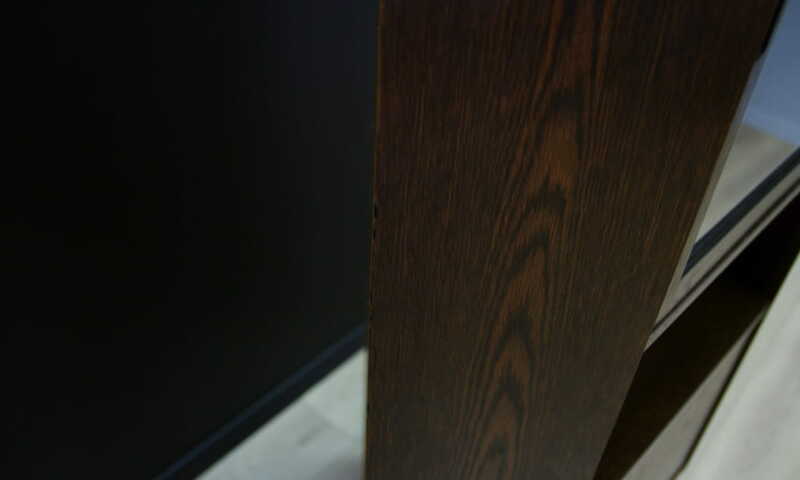 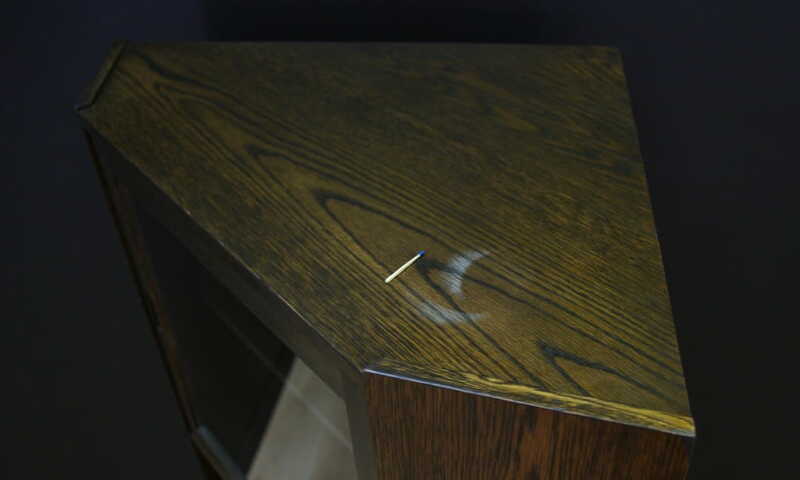 Capacious drawer with a shelf. 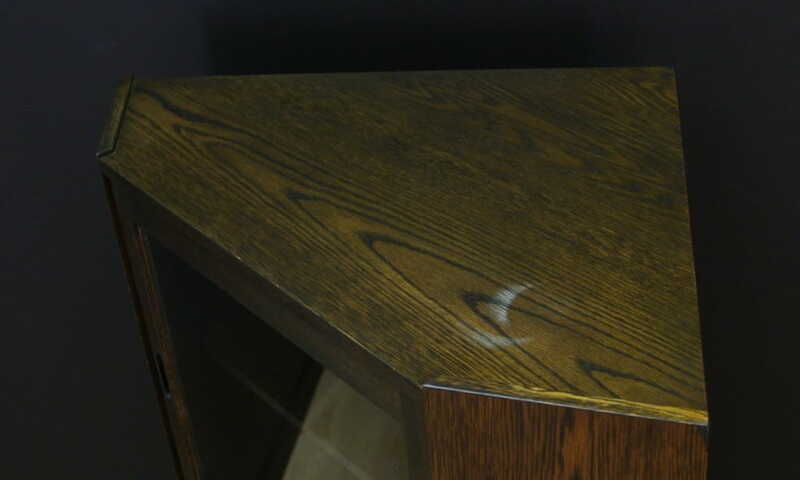 Preserved in good condition (minor scratches, lighter stain on the countertop) - directly for use.